Bones Outfitters Now Live on Awin! 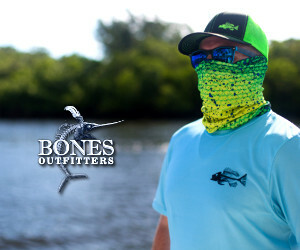 Vibrant designs for fishermen, boaters or anyone who loves the water... Bones Outfitters is an emerging brand with deep roots in the fishing community and a goal to help protect others from sun damage and possibly cancer. Their current line of apparel consists of 55+ UV protective Long Sleeve and Short Sleeve shirts, Leggings, Hats, and Face Shields with a lot of additional items and designs being added regularly. Join the Bones Outfitters Affiliate Program Today! Why join the Bones Outfitters program? If you have any questions about the affiliate program, please contact Adam from the Bones Outfitters team.